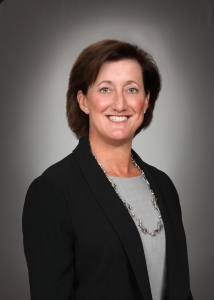 Katie Thomson currently serves as Vice President & Associate General Counsel, Transportation and Logistics at Amazon. Before joining Amazon, Katie played a pivotal role in shaping national transportation law and policy as general counsel of the U.S. Department of Transportation (DOT) (2013-2016) and as chief counsel of the Federal Aviation Administration (FAA) (2012-2014) during the Obama Administration. She also served as counselor to U.S. Secretary of Transportation Ray LaHood on energy, climate, and environmental matters from 2009 to 2012. Before joining the government in 2009, Katie was a member of the environmental group at Sidley Austin in Washington, D.C. Immediately prior to joining Amazon, Katie chaired the transportation practice group at Morrison Foerster, where she advised clients on emerging technologies in the transportation sector. Katie received her Bachelor of Arts degree from the University of Illinois (Champaign-Urbana) and her Juris Doctor from the University of Pennsylvania.